Referral Quality: Do the Online Lead Generation Companies Deliver? Do Lead Generation Companies Deliver the Leads? Previously you met 18 online lead generation companies who offered to help you with your real estate lead generation in a previous post. You’re likely pondering each of their value propositions and assessing the true merits of their lead gen programs. I spoke of their merits but I can’t really recommend any of them. You might think differently. They may range from low quality unfiltered lead lists to full blown ppc lead referral systems via Google or Realtor.com or predictive modeling of a buyer market. 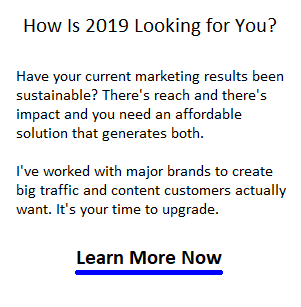 Sounds interesting, however you may also be assessing the opportunity cost of not initiating your own lead generation or prospecting website system. The hot lead markets in Vancouver, Toronto, Los Angeles, Boston and San Francisco has put lead generation on the back burner because leads are so easy to come by. Everyone is buying selling now. The Toronto real estate forecast is particularly strong and Vancouver’s isn’t cooling much. Online lead generation is an internet marketing process that attempts to initiate interest or an inquiry by real estate prospects and send them over to a subscribing realtor. These leads could be categorized either as a marketing lead or a sales lead. Are They Referring the Leads Realtors Want? Too often, these real estate lead generation websites (such as bold leads, agent locator, agent pronto, offrs, etc, ) sell you more than you asked for, yet not quite enough high quality seller leads. It would be ideal if they fed their pipeline into your own lead conversion process. Do they scrape from the MLS listings? Most quality realtors already use a CRM, lead management, lead scoring, and conversion interface and some may develop quite a lot of traffic and deals using it. What if you wanted to use many of these cheap lead starter programs and feed them into your platform? And they do sell you programs, not so much live active leads. Programs first and leads second might be a warning, since these are not custom systems that you retain ownership of and they work with hundreds of other realtors. A good buyer referral is valuable and worth a hundred times more than $19.95. Why would a company give away leads for nothing? Are they leads from first time buyers who can’t make the minimum downpayment and are just kicking tires? What can you expect for $19.95 a month for a lead generation platform? #lol, probably not a lot, in fact, it could be distracting you from better lead generation strategies. These inquirers could drain your time and energy. Do millionaire real estate agents bother with these lead gen companies? Why not just do an Adwords and Facebook cost per click campaign yourself? Using the lead generation company’s website, you’re bringing your leads through their system, and they may treat these referrals as their property. Social media is shown to shorten sales cycles, but can you integrate your own accounts successfully with their system? On the positive side, some of these systems such as bold leads or market leader, provide you with a ready made lead capture and conversion process with tools to capture, nurture, and convert to an actual customer. They target via high volume advertising (but they still pay Google the same rates as you would pay). So I’m skeptical of these lead generation companies, however I would caution that they’re only additions to your own online lead generation tactics. I’ll leave you with a report called the Special Report: The Bottom Line on Online Leads published by by Inman in early 2015. There have been quite a few new entrants in the online leads market since then, but this reports has boatloads of information you’ll appreciate reading. Inman’s report was from a survey of a good number of agents yet the real estate lead generation companies I covered in my post are not mentioned in this survey. Review carefully if you’re going to put all your funds and time into one of these platforms. Better to find out now than be stuck with big headaches and disappointment later. 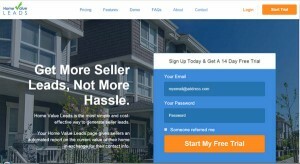 Check out and compare my affordable realtor marketing services. Check what’s ahead for the US housing market forecast for 2017 to 2020 and in the hot markets of Vancouver and Toronto.